Thanks go to Wallace Ferrier who has kindly contributed some photos from the filming of Under the Skin at Auchmithie harbour near Arbroath. 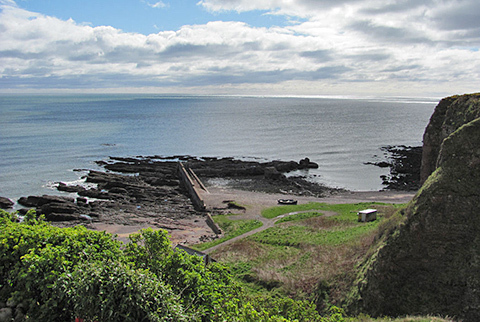 Auchmithie harbour, three miles or so north east of Arbroath, dates back to 1891 and is now in a ruinous state. According to wikipedia the famous Arbroath Smokie originated at Auchmithie. 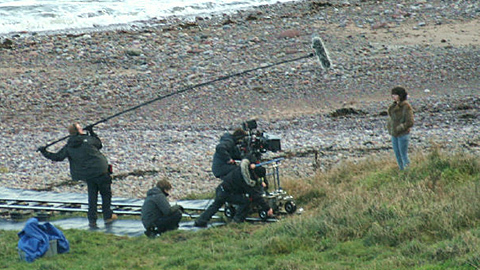 Above - Scarlett Johansson on the right of the photo during filming at Auchmithie Harbour. Below the harbour on a normal day.